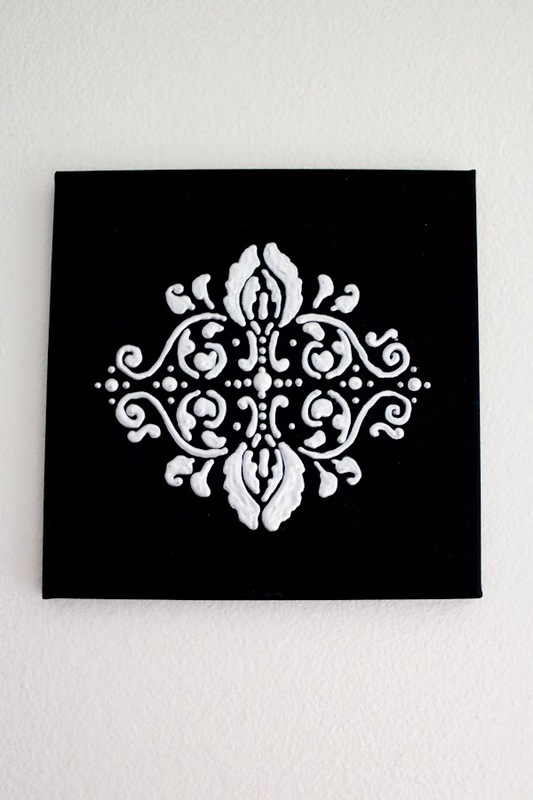 DIY: Damask Wall Art REMIX! 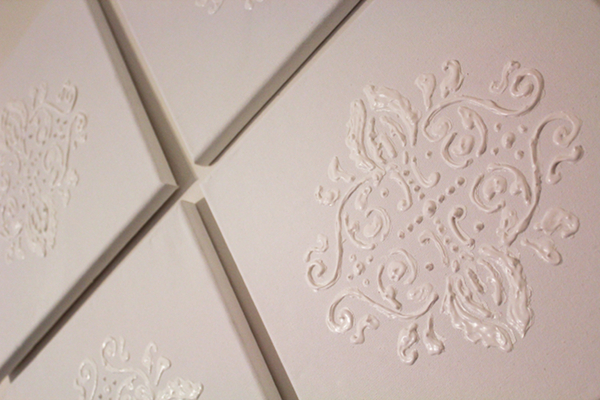 As I am sure many of you have seen, we did a very popular DIY damask tutorial last year that has brought in thousands of hits from Pinterest, Craft Gawkers, Blogger sites, etc! Well, we've decided to implement that in our AZ apartment again but with a twist: black & white & chic! 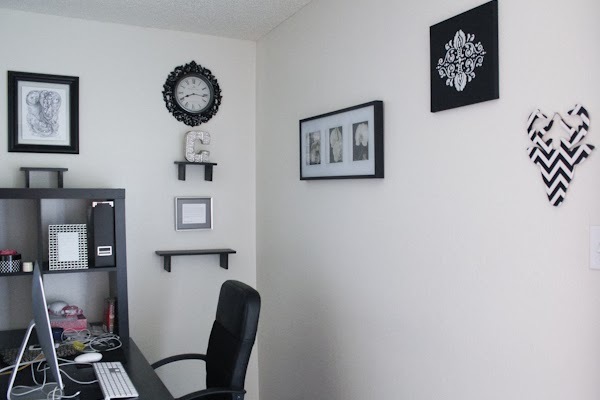 I am building an eclectic, black & white wall for in our home office! Below is our post we did last year if you want to check it out: find the full tutorial here! It has the dos and don'ts of using a stencil! Mary Ellen, you totally should try it! It's super easy, and the results are great! I hear black and white is really in this year. I love the damask look. Thanks for sharing. I think it's safe to say that black & white is ALWAYS in! It's a classic! But yes, I do think it's becoming more mainstream in decor for sure! Thanks so much for coming by--have a great weekend! Such a beautiful and inventive idea! Wow thank you so much! It's difficult for bloggers to stay inventive, so that is a huge compliment to me! Thank you! Very pretty! Thanks for joining our Twirl and Take a Bow Party! Hope to see you again next week! I appreciate you having us! Have a great weekend! Oh my goodness, I LOVE this! Thank you for the tutorial! Aww thank you so much! I am glad you love it! P.S. that Christmas Tree in your signature is absolutely divine! Thank you for stopping by--it's nice to see a familiar face in the comments!